Press photograph from the Sport & General press agency. Sepiatone. Approximately 16.5 x 10.8cm. 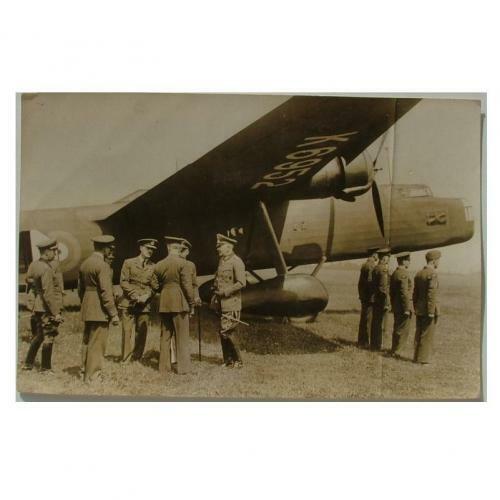 Shows German General Werner von Blomberg, one-time minister of war and close follower of Hitler chatting with high ranking RAF officers in front of a Whitley bomber. Preumably pre-WW2. There is a vertical crease to the right of the image, otherwise good. Stock code P21839B.